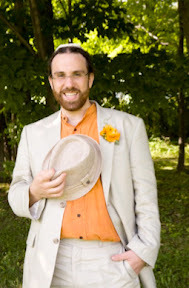 We are honoured to announce that one of our longtime supporters, David Fainsilber, will be undertaking two unique challenges in order to raise money for Peace it Together. This Saturday, David will be racing in his first-ever triathlon. If that were not enough, at the end of October, David intends on cutting off his signature dreadlocks. He needs your support to help him do it! Donations made to Peace it Together in support of David's campaign will be matched up to $2000 by an anonymous private donor and longtime supporter of the organization - this means that the first $2,000 in donations to this campaign will be doubled! There couldn't be a better time to give to Peace it Together. Donations to Peace it Together through this campaign will be used to support the 2011 program participants as they screen their films throughout their communities, and will also go towards funding our next filmmaking and dialogue program. On September 1, David Fainsilber will attempt his first ever triathlon, swimming 1.5 km (.9 miles), biking 40km (24.8 miles) and running 10km (6.2 miles) in the Lake George Triathlon in upstate New York. It will be the first time he has ever participated in such a grueling, physical competition. 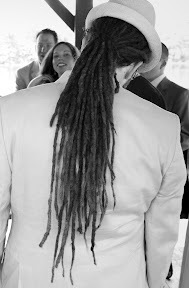 And if that were not enough, the following month David intends on cutting his signature dreadlocks, a swath of hair 13 years in the making. It will be a dramatic makeover, to say the least. "I do this in the hopes of benefiting two beloved organizations, which I believe are doing invaluable work building peace in the Middle East by transforming the lives of youth,” says David. To motivate, inspire, encourage and support David in this two-part transformative experience, he is asking supporters to donate to Peace it Together and/or Pilgrims of Ibillin. Peace it Together is a Canadian organization that provides a unique dialogue and filmmaking program for youth, who connect deeply with their so-called “enemy” within the context of the Israeli-Palestinian conflict. Pilgrims of Ibillin is a US-based organization that also promotes non-violence and peace in Israel-Palestine. Your donation to these organizations will support a needed transformation from despair to hope, from violence to cooperation and reconciliation. “For your support, I am grateful,” David says. Follow David's journey on his blog. Learn more about David here. Donate to Pilgrims of Ibillin. Peace it Together is a registered charity. *Donations made by Canadians are only tax-deductable when made to Canadian charities (in this case, Peace it Together) and similarly, American donors can only claim donations to American charities (such as Pilgrims of Ibillin). Donors are encouraged to give freely to whichever charity they chose, or both.